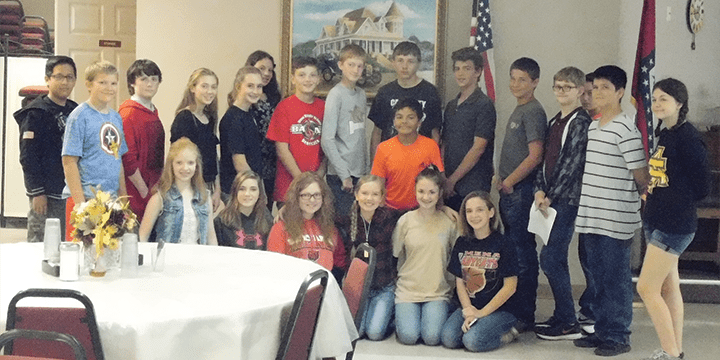 On September 29, 2017, the Mena Middle School EAST class visited the Senior Citizen Center, National Guard Armory and the Rich Mountain Nursing Home. 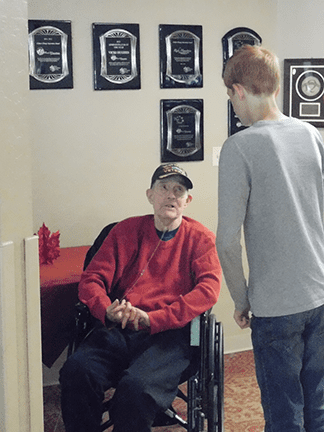 They interviewed many Veterans including those who served in WWII, Vietnam and Korea. They played games and discussed many history topics at the senior citizen center, visited Veterans and an individual from the Berlin Crisis at the nursing home and, at the local National Guard Armory, they invited Veterans to the Veterans’ Celebration on November 3 at the Mena School Performing Arts Center. Invitations and information are located at the Veterans’ Medical Clinic and Polk County Veterans’ Service Office.